Get Fast and Professional Laptop Service from Laptop Service Center In Bengaluru, Chennai. For Support Call @ +91 97102 77733. We are leading multi brand Laptop Service Center in Bangalore located at Electronic City offering high quality laptop repair, BGA Chip Level Services, Broken Laptop Rework and Laptop Spare Parts Sale at best price with quality. 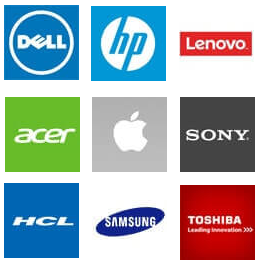 Our certified engineers who can repair any kind of laptop problems and any model like Dell, HP, Lenovo, Acer, Apple, Toshiba and other models..
Best Laptop Repair Services in Bangalore at Bangalore, serve all types of customers including individual to corporate companies. Our qualified technicians carefully diagnose the problems. We have made a distinct mark in Laptop Repair industry with our determination to serve our clients with professional quality service.